Olive trees can make a wonderful statement in most any yard or garden. The trees have beautiful pale green leaves and can have very distinctive branches. 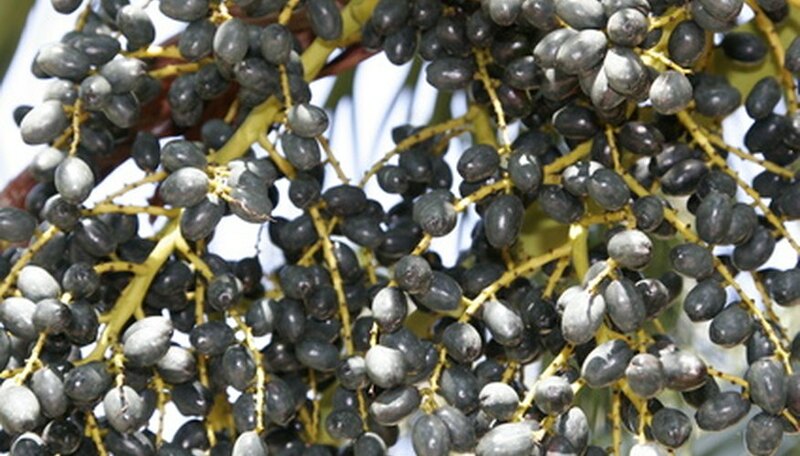 They are slow-growing trees that can take many years to put on fruit. However, once they begin fruiting, many homeowners realize that the purple stains left on the ground by the falling olives are more of a nuisance than a pleasure, and most homeowners are not prepared for the bother of preserving olives. The answer, for many, is to prevent the tree from putting on fruit to begin with. Cut new growth in early spring using your pruning shears. Since most blooms appear on new growth, this pruning will reduce (but not eliminate) blooms and, hence, olives. Spray your tree with a growth regulator such as naphthaleneacetic acid (NAA) compound or Maintain CF1 25. Spray three to four days prior to full blooming. Wear a breathing mask and coat all of the branches and buds thoroughly. Do not spray if there is excessive wind. Wait seven days and spray your tree again with the growth regulator. Again, wear a breathing mask and do not spray in excessive wind. Watch for any blooms that your growth regulator spray missed and spray them with a hard stream of water using a sprayer attachment on your garden hose. Knock any remaining blooms from the tree with the stream of water. No blooms--no fruit. Use caution when spraying the growth regulator so as not to get it on other plants. If the growth regulator drifts onto surrounding plants they must be washed off immediately with running water. Growth regulator must be applied twice each growing season to preventing blooms from setting.